Thoth Communications, Inc. provides creative integrated solutions that support the strategic objectives of our clients. Our services include federal, state and local government relations and strategic communications. Unlike typical consulting firms, Thoth Communications, Inc. works with you to target and deliver your message and solidify your brand using multiple avenues of communication. all areas of internal and external stakeholder communications, relationship-building and reputation management and community outreach. of action that yields results. Your gateway to people information and ideas. Thoth Communications, Inc. is a full service strategic communications and marketing firm specializing in government affairs, public relations, marketing and graphic design. Our philosophy is simple. Your message matters, and people should know your story. Thoth Communications, Inc. facilitates relationships on behalf of it clients with key decision-makers in government on a daily basis. Effective advocacy requires a thorough understanding of the clients needs and the framework of politics and government. 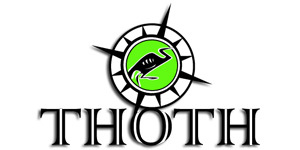 Thoth Communications, Inc. offers public relations services to enhance and maintains our clients reputation. Our skilled publicists are able to present a company or an individual to the world in the best light. This includes crisis, brand and reputation management. Thoth Communications, Inc. provides comprehensive advertising, marketing and graphic design services that further solidifies our clients brand. This includes conceptualization, initial story boarding, casting, location development and script writing.